I've often wondered if there could be some other possible use for those ridiculous skinny plastic bags you get given at department store entrances, to put your wet umbrellas in. They lie all over the footpath outside the store, discarded, crumpled and unwanted. I was walking down Wulumuqi Lu yesterday when I noticed this large orange-covered dog in front of me attracting quite a lot of attention. 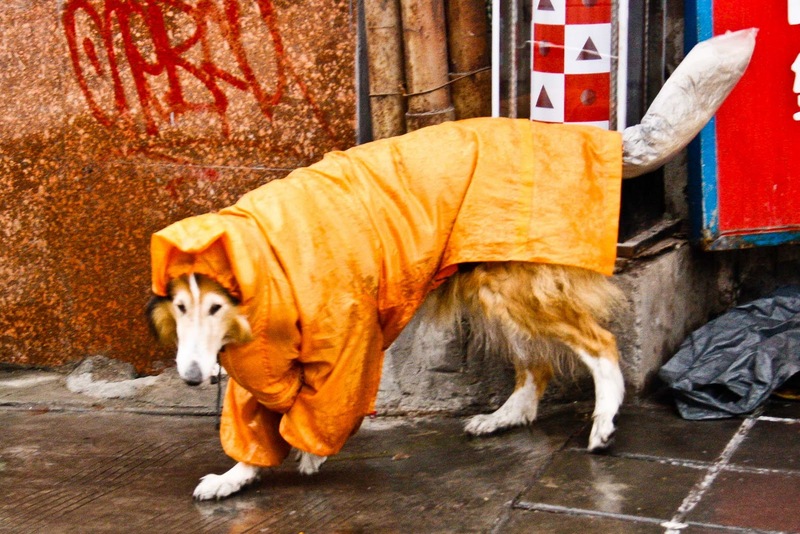 He was wearing his owner's raincoat, sleeves and all, but given what dogs wear around here it was hardly the raincoat that was raising eyebrows. It was what he had on his tail. Yep, she had saved one of those bags from her last trip to Zara, and now here it was slid onto his tail. A long tail it was, and it looked quite the business swishing from side to side encased in a skinny plastic sleeve. 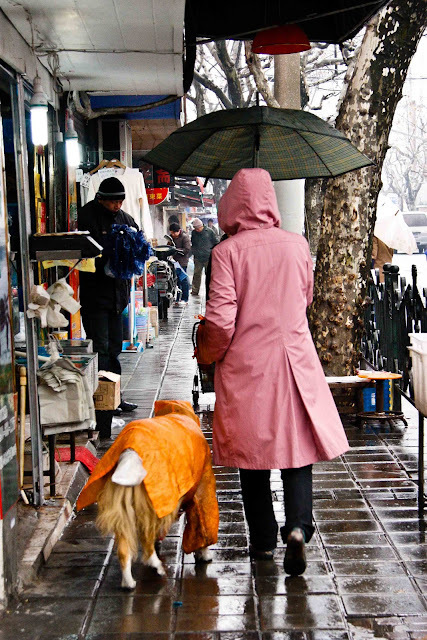 You may be a giant majestic wolfhound, but if you put a plastic bag on your tail, everyone's gonna laugh at you.